Adriana Laurent took a moment to think. She considered UBC’s place in the fight against climate change. 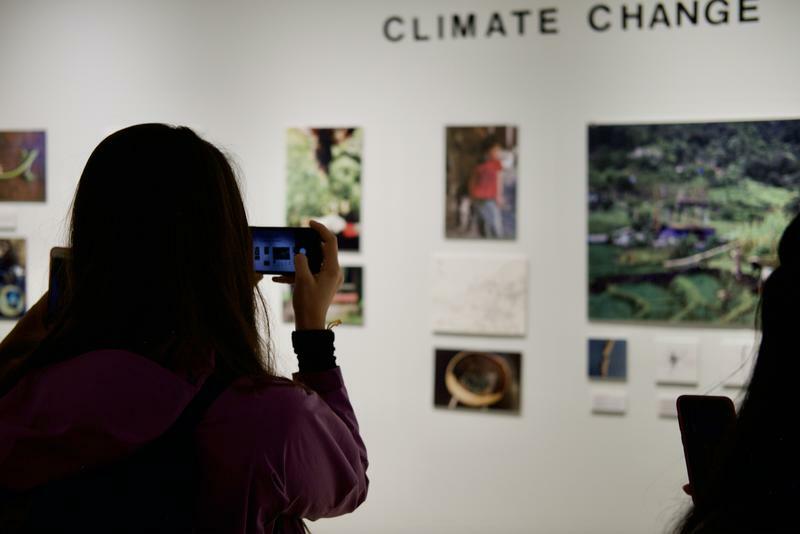 “There’s a lot of incredible work happening, but not enough collaboration,” said Laurent, the event coordinator at the UBC Climate Hub and a fifth-year global resource systems student. This idea — that universities silo information as effectively as they cultivate it — inspired Laurent to organize the 2018 UBC Climate Solutions Showcase. Held in the Nest on October 25, the showcase brought together anyone interested in furthering UBC’s commitment to the mitigation of climate change. As with any event that unifies those invested in a social cause, the atmosphere hummed with hope and confidence when professors, researchers, activists and community members offered solutions. It sobered when climate change’s sources and its future consequences were brought to the forefront. A more potent feeling pervaded the air though, one that other sentiments eventually served to reinforce: determination. If Apollo 13 and the Climate Showcase went out to dinner, they’d agree on at least two things: science is awesome and failure isn’t an option. The showcase featured panels of experts on topics such as engineering, food systems, finance, climate art and climate justice. At the end of the night, there was a social for attendees, embodying the central goal of the showcase: communication. We know a lot about how to stop the reckless destruction of Earth’s ecosystems. We just need to communicate and act together to integrate such knowledge. As with most things, preserving and engendering vibrant and healthy life on Earth is easier — and more fun — with friends. Many of the obstacles staring down this movement are daunting and discouraging. Whether despite or because of these challenges, people were there, finding time in their busy lives to gather for a world more sustainable than what we currently have. The event brought together a concerned climate community and by extension an energy of empowered optimism. Speakers and guests at the event repeatedly emphasized that climate change will affect everyone, especially marginalized communities. Collective action is what will yield the greatest positive differences in this regard. The burgeoning discipline of climate justice, according to Laurent, exposes the plight of those who contributed least to climate change but will bear the brunt of its consequences. This grants climate change an ethical urgency. “Something I’m passionate about is understanding how climate change will impact people and how that relates to social justice issues,” said Laurent. “That’s what will get people moving, when they see how it will affect them and the people they care for. Laurent strongly encourages anyone concerned with the subject of climate change to get involved with the UBC Climate Hub. “We are student driven, and we are always, always looking for people to join, no matter what skill level or contribution they have in mind. We have students who are in first-year economics, but also PhD environmental law students. You are welcome to join us at anytime,” said Laurent.